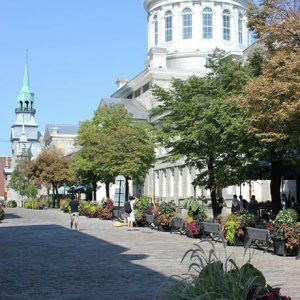 Discover the captivating story of the Bonsecours Neighbourhood: its historic buildings and public squares, veritable icons of Old Montreal. Listen to the stories of the men and women who have contributed to Montreal's history. Visit the archaeological site of Notre-Dame-de-Bon-Secours Chapel where unique remains from the 17th and 18th centuries can be viewed.